After agonizing over design and considering comfort & utility, I decided on a “T” design, constructed of 35mm x 350mm ash. The art of balancing and pivoting on this stool, keeps the user alert and awake. If one dozes off, the resulting fall will either awaken the user or cause more prolonged unconsciousness. Joined with 12mm dominos cut by a DF700. That is my shop cat, “Sticker,” in one photo. 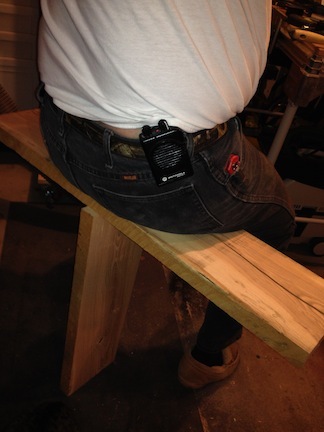 The most humoristic build of the day, thanks for sharing. 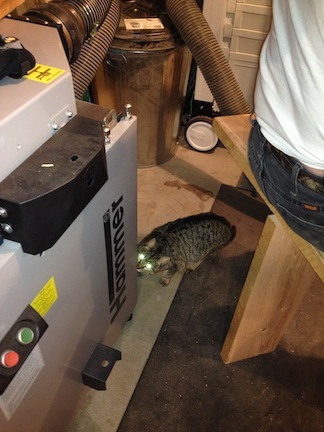 wish i could get my shop cat to clean my machines….